Certified KonMari Consultant and Home Organizer based in Toronto, Canada. Modern & Minimalist will teach you a life of living with less by decluttering and home organization using a unique technique called the KonMari Method™ created by Marie Kondo. 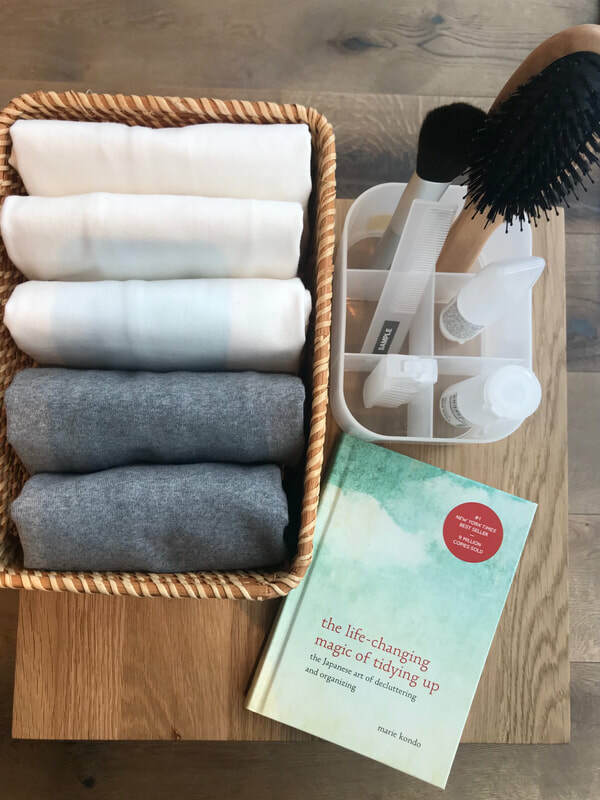 Marie Kondo is a New York Times best selling author of "The Life Changing Magic of Tidying up" and the star of the latest trending hit on the Netflix series called "Tidying Up With Marie Kondo,"she has created the best way we should declutter, organize and tidy our homes, but also how we should live with joy. Her KonMari Method™ teaches you to have the things in your home that sparks joy, by being more mindful of what you have and showing gratitude. It's not only about choosing what to keep and discard, but more importantly having your ideal lifestyle. Let's get started on your tidying festival and make your home feel like a home you want to be in, along with a life you want to live. Life truly begins only after you have put your house in order. The KonMari Method™ is a lifestyle and a mindset that inspires people to appreciate and keep things that spark joy in life. It encourages you to declutter and organize by category, and not by location. The stuff you own is recognized for their service and thanked before letting them go if they no longer spark joy. The method, created by Marie Kondo, is the latest and most popular decluttering and organizing technique due to its effectiveness, but also because it places a great importance on being mindful and optimistic. I will help you transform your home and achieve your ideal lifestyle by working with you in-person at your home, and guide you on how to declutter your things by categories (not by room). I act as your coach and support you throughout your tidying journey following the KonMari Method™in a relaxed and non-judgemental way. I will teach you how to let go of things by keeping only what 'sparks joy', and then organize your home so that everything has a home and is easy to tidy and clean. Keeping things that have an intended purpose will also have more value to your life. You will start to see a change in your entire space but also in yourself, with peace of mind, clarity and an improved well-being. Imagine having a home where you can feel more relaxed, positive energy and a calm space. ​Check out my suite of services in order to cater to what your home and personal needs are. I also provide staging services if you plan to offer Airbnb in your home, I can help with preparing your space and guest room for your listing. Let's connect and discuss your home organizing needs with a consultation phone call. To my surprise Michele helped me get through all my stuff; it wasn't hard but it took time. You need time, patience and realization it's time to let these things go. 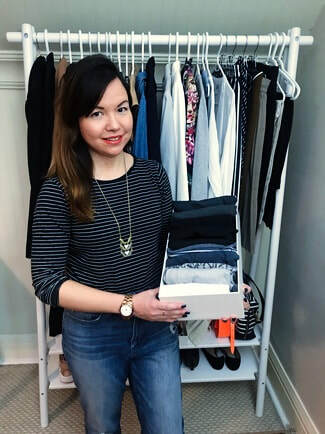 Michele is an official Certified KonMari Consultant and home organizer based in Toronto, Canada, and received her training with Marie Kondo in New York City in 2017. With a background in Marketing, Public Relations and Interior Decorating, Michele has an eye for design and style which she uses in both personal projects and in her work. Michele has had an extensive career in the travel industry doing marketing, but decided to switch her path and follow her love of living simply, home organization and interior design. ​"To truly cherish the things that are important to you, you must discard those that have outlived their purpose." 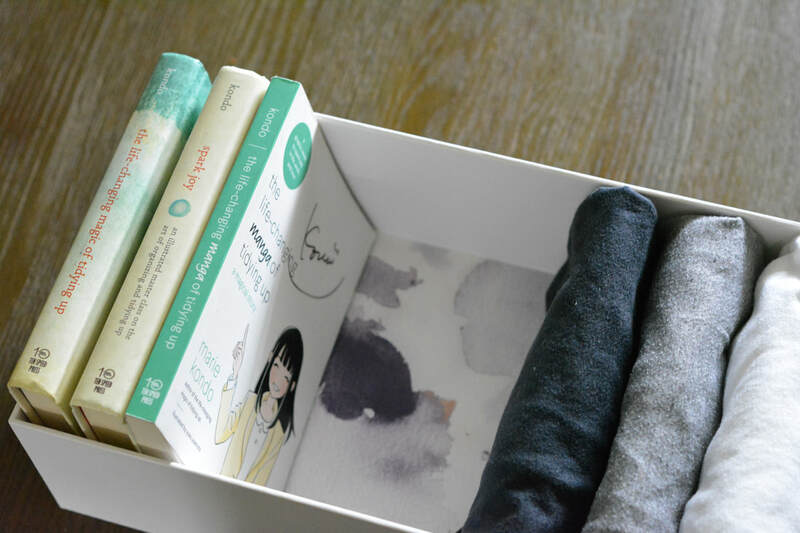 Image of Marie Kondo courtesy of Konmari Media. Experience a new life and a new home by creating your ideal lifestyle, by decluttering and keeping only what sparks joy. We're located in Toronto and service the Toronto area, including Scarborough, East York, North York, York, and Etobicoke.